On the left we see the next big thing in communications – the electromagnetic transmission of human voices AKA – the telephone! 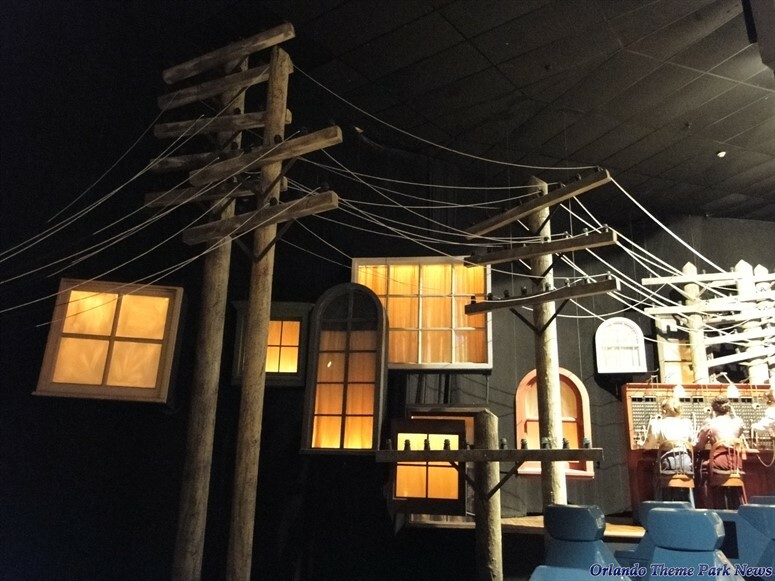 Making a telephone call is about converting energy from sound to electricity, carrying the electricity down a very long wire, and then turning the electricity back into sound (3). We see a bunch of telephone wires connecting to homes. Based on how well lit the homes appear to be from the windows, we might also guess this is an urban area with electricity in their homes too. This amount of wires is NOT an exaggeration! Check out this photo below of Pratt, Kansas in 1911. The wires are no joke! 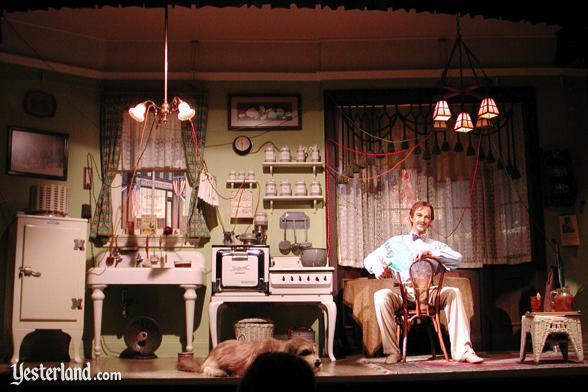 Reminds you of the Second Act in Carousel of Progress! By 1920, 13 million phones were in use – that’s 123 phones for every 1,000 people (1). 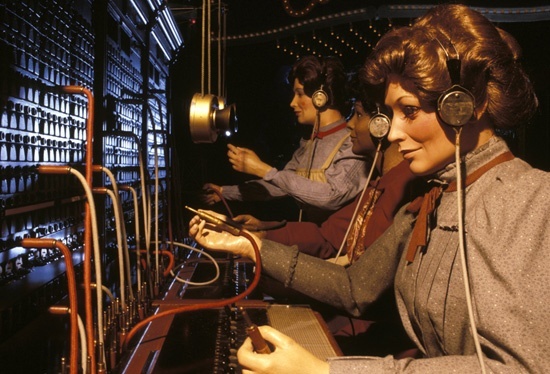 Continuing on, there is a switchboard operated by three women. Yes, finally some professional women on display! The switchboard was first developed in 1878 and it was soon realized that the job of operator was best suited towards females. A woman’s voice was more patient and reassuring to the users of this new technology. As better communicators, female operators quickly became the norm, one of the few occupations a respectable young woman could enter, along with teachers, nurses, store clerks (1) and computers. 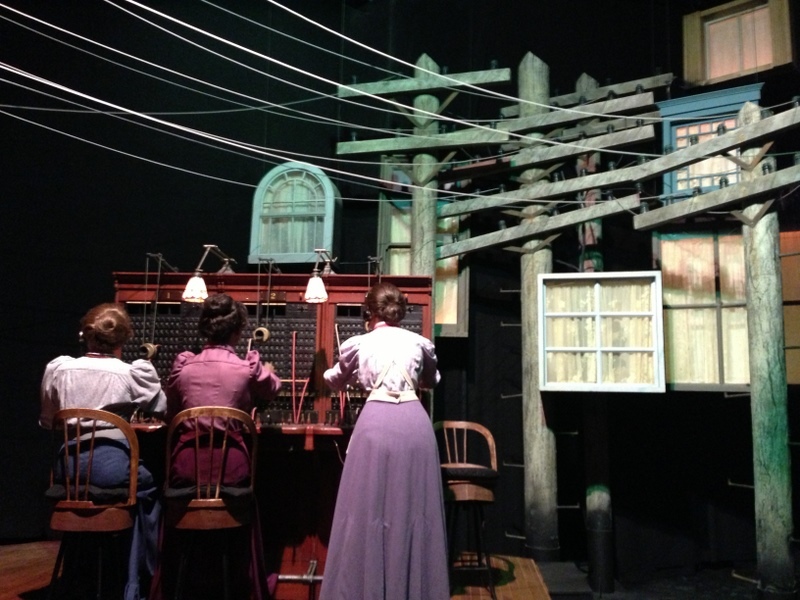 These women are working on a magneto switchboard that was fabricated from an actual model circa 1898, supplied by American Telephone and Telegraph (AT&T) (2). The operators connect any person’s phone to anyone else’s by switching around the connections on the board—which is why it was called a switchboard (3). 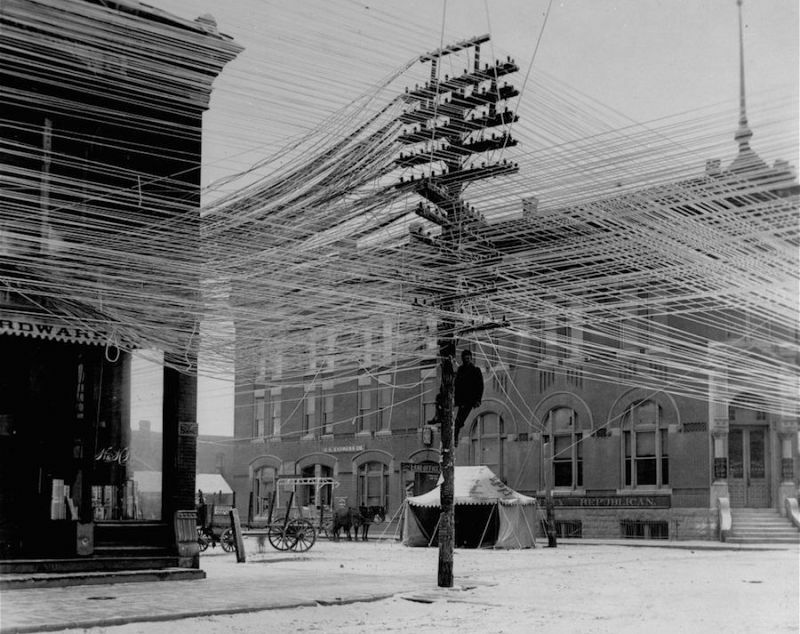 Magneto (hand-cranked generator) telephones allowed subscribers to ring anyone on their circuit line. If they wished to speak with someone on a different line, that call was connected through a magento switchboard at a central office (4). The magneto in the telephone set generates currents to notify the operator at the switchboard of the user’s call request (5). I’m sorry, that line is busy. One moment, I’ll transfer you. We can now communicate within minutes and not months and also hear the voices of our loved ones from afar. Having a telephone was a social life line for rural farmers who could talk with far away family and also take orders from stores and learn quickly about what crops were needed.